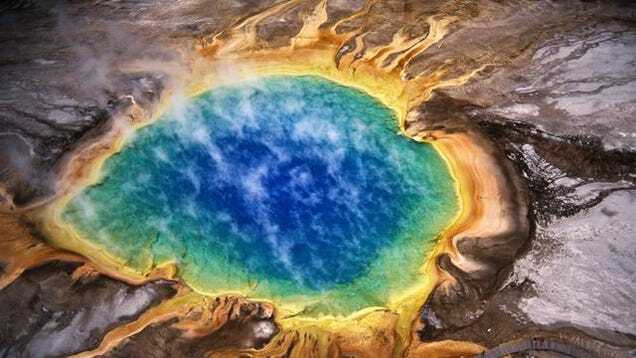 Scientists have learned that massive caldera volcanoes, like the one stewing beneath Yellowstone, are ruled by geological processes far different than the ones governing conventional volcanoes. These massive reservoirs of magma can explode spontaneously — an important piece of insight that can help us predict a future disaster. 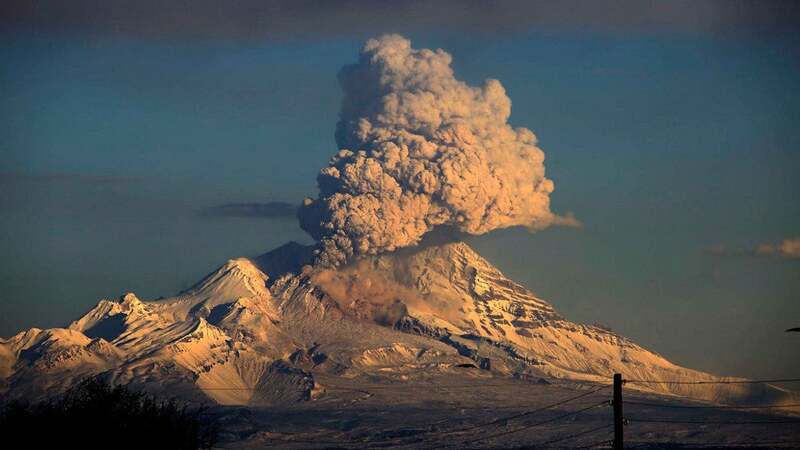 Super-eruptions are extremely rare, occurring once every 100,000 years or so. Disturbingly, these cataclysmic geological events aren’t archaic phenomena; we know of at least 20 supervolcanoes on Earth, including Yellowstone, LakeToba in Indonesia, Lake Taupo in New Zealand, and the Phlegraean Fields in Italy. Scientists say it’ll only be a matter of time before the next Big One — an event that could eject upwards of 1,000 cubic kilometers of ash into the sky. Smaller volcanoes, like Mt. Pinatubo, are typically triggered by earthquakes or other external factors; they’re powered as magma shoots into the volcanic chamber, increasing internal pressure to the point when an explosion occurs. But supervolcanoes, which consist of massive reservoirs of magma deep beneath the surface, are ruled by considerably different processes. A recent study conducted by a Swiss team from ETH Zurich now shows that the mechanism behind these eruptions is buoyant magma — the same force that makes it difficult to hold a basketball underwater. 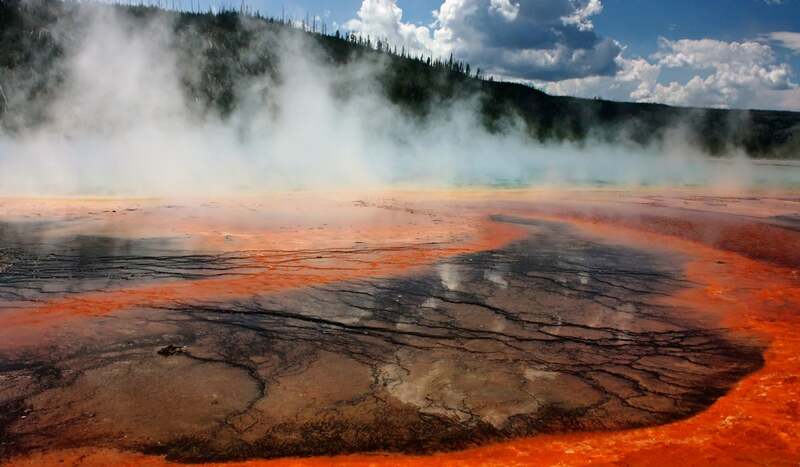 To reach this conclusion, the researchers simulated the intense pressure of heat in the caldera of a supervolcano by using an experimental station called a high pressure beamline. They filled synthetic magma into a diamond capsule and shot high-energy X-rays inside to monitor changes as the mixture reached critically high pressures. By doing so, they could calculate the amount of pressure required to induce a spontaneous eruption (their samples reached pressures of up to 36,000 atmospheres and temperatures of nearly 1,700°C — similar to the conditions inside a magma chamber). Results showed that the mounting pressure caused by magma buoyancy can crack more than 6 miles (10 km) of the Earth’s crust above the volcano chamber. Eventually, the magma penetrating these cracks will reach the Earth’s surface. But as it rises, it expands violently, causing a tremendous explosion. Discouragingly, this research shows that supervolcanic eruptions could happen 10 to 100 times more often than previously assumed. The good news — such that it is — is that we will be able to see this disaster coming, particularly at Yellowstone. Speaking to the BBC, geologist Wim Malfait said the ground would probably rise hundreds of meters. He believes that Yellowstone currently has 10-30% partial melt, and that the overpressure required for an eruption requires at least 50%. What’s more, it can take hundreds of millions of years for this buoyancy force to create the pressure required for an explosion. It doesn’t appear that Yellowstone is going to blow any time soon. But given this new insight, geologists can now start to monitor the conditions within this and other calderas in hopes of predicting a future eruption.